One of our favorite traditions is just around the corner! 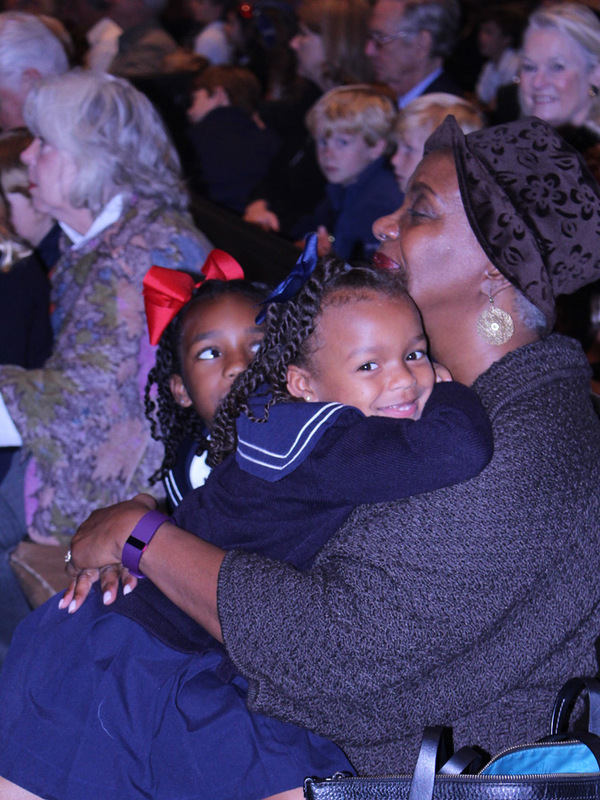 Grandparents and Grandfriends' Day is this Friday, November 17. If your grandparents and grandfriends haven't RSVP'd yet, it's not too late! Click here to register now. Below are five things to confirm to make sure the experience is the best possible. Students don't always remember that their grandparent/friend is attending. Please touch base to make sure they know to be on the lookout at the appropriate time on Friday. Staff and volunteers will be present to assist both students and grandparents. LOWER SCHOOL: Lower School students will not be able to leave with their grandparents without permission noted on the Google doc. Please click here to authorize. LOWER SCHOOL: Please remind grandparents/friends that they will want to visit the oldest Lower School grandchild's classroom first and progress to the next oldest, ending with the youngest grandchild. This helps reduce tearful goodbyes. MIDDLE SCHOOL: Middle School students have scheduled classes on Friday morning and a special schedule in the afternoon. UPPER SCHOOL: Head of Upper School Henry Heil and Athletic Director Dan Gill, both new this year to ESD, will be hosting a coffee in the DJFDC following the US classroom visit. We encourage our grandparents and grandfriends to attend and hear what's happening in Upper School and athletics. Upper School students will attend their classes for the balance of the day. Click here for more details, including event schedules. If you have any questions, please contact Kamaile Frank at 214-353-5795.